The BOTSJ returns to Korakuen Hall for a B Block event. This wasn’t a house show style event and all the matches are available online. However, pressed for time, I’m still only reviewing the tournament matches. Overall: 7/10. The B Block rebounds after a dull night three with a strong showing. All four matches are good. Kanemaru/Volador and Taguchi/Desperado were both better than expected. Tiger Mask was awesome and his match with ACH blew away expectations. 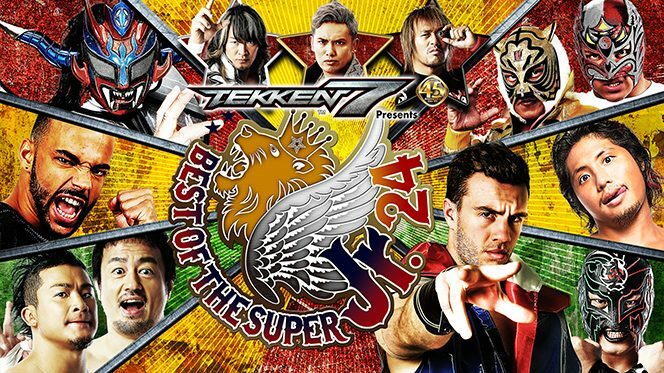 The main event is arguably the best BUSHI/KUSHIDA match and the whole thing just flies by.